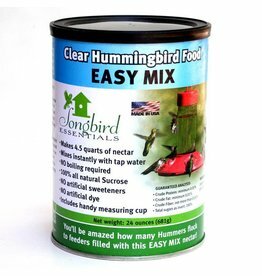 Clear Hummingbird Nectar Mix (24 oz. can) Easy Mix No boiling required, no artificial dyes, colors or sweeteners. Just contains finely ground sucrose - the same sugar that makes up flower nectar.